Here is the unofficial text of S/Res/2240 (2015) via the UN Security Council – Meetings Coverage. The official text will appear here (under embargo – not yet posted). For information media. Not an official record. 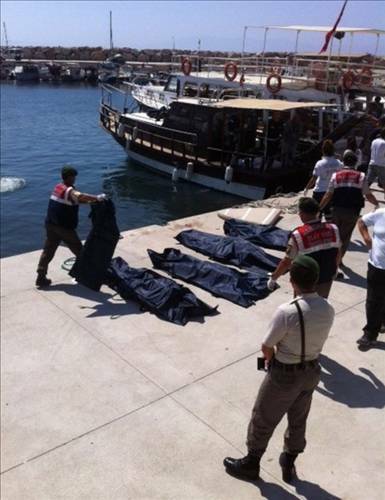 Last week’s sinking of a migrant boat off the Turkish coast took place about 50 metres from shore. The high death toll of 61 persons, including 31 children and infants, seems to have occurred in part because many of the boat’s passengers were either trapped or locked below the main deck of the boat. Some media reports describe the boat, the “Sailor”, as a small fishing boat, but pictures of the accident scene suggest that the boat was probably a pleasure boat. The boat struck underwater rocks causing it to sink on 6 September. The boat reportedly departed from Ahmetbeyli and had traveled approximately 25 km along the coastline when it sank near the village of Menderes. The migrants on board included Syrians, Iraqis, and others. At least 49 survivors were able to swim ashore. 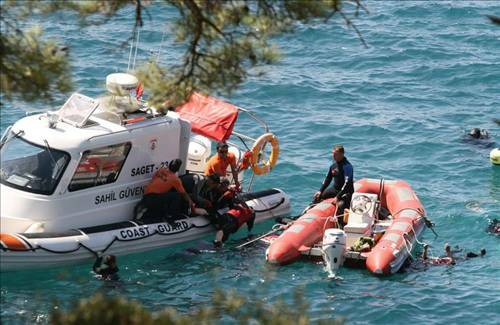 The boat’s Turkish captain and at least one crew member have been arrested and charged with human smuggling and reckless homicide. The crew reportedly made no efforts to assist the passengers as the boat was sinking. Click here, here, here, here, and here for articles.